Good morning everyone! Hope you are keeping warm and snug wherever you are, it is freezing in the cottage, we only have single heating in the back of the house so we have lots of jumpers and scarves on to keep warm - despite this I am still cold! I also used the lovely scroll stamp from the Creative Elements stamp set for the corners, which you can see in the close up above. The three colours I chose for this card are: Island Indigo, Old Olive and Elegant Eggplant. They go really well together! The little flowers at the right hand side of the card were made using the Boho Blossoms punch. Other punches also used were: Bird Builder (for the leaves), the Scallop Edge punch, Scallop Oval and the Word Window punch. 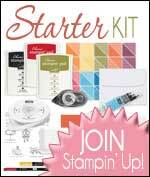 If you would like to know more about Stampin' Up! 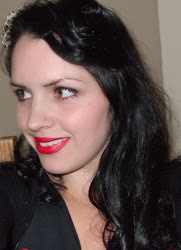 products and how you can order them then please don't hesitate to drop me a line, I'd be pleased to help.